A prescriptive approach to increasing revenues and decreasing costs by "shifting the performance curve" of your organization. 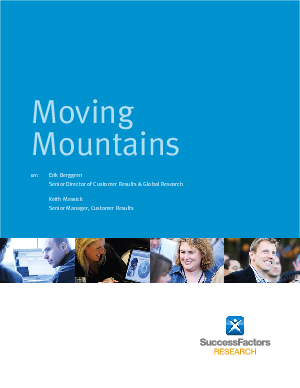 This Whitepaper shows the results of a survey conducted with over 500 SuccessFactors customers. See how they increased productivity and drove significant financial impact to their respective organizations.